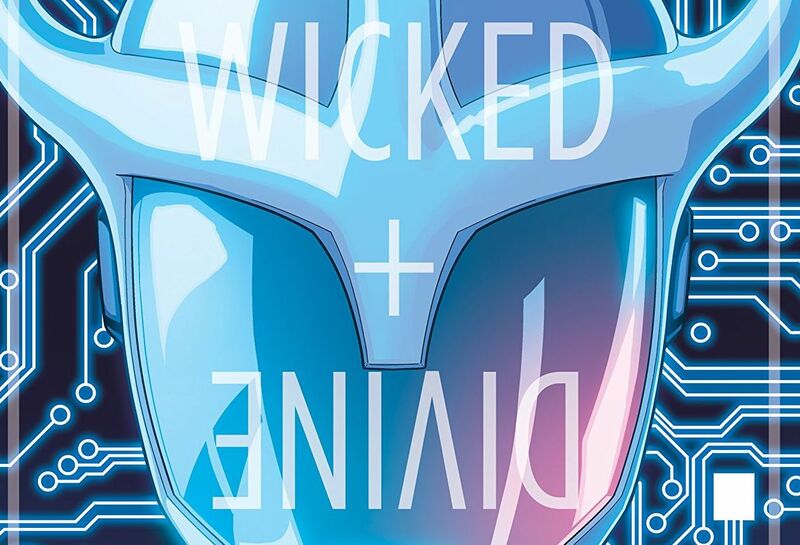 The Wicked + The Divine #41 review: HEADing into the home stretch – AiPT! The WicDiv team isn’t holding anything back as they rocket towards the series’ conclusion. I know, I’m sorry, but it was right there. As the series slams into its final arc, it’s non-stop action as Laura, the remaining gods and the heads try to save the world once and for all. Is it good? As Baal, Woden, and Ananke as Minerva continue to pursue the rest of the gods in the aftermath of O2, Laura uses her remaining powers to break the Norns out of prison, and discovers the heads of Lucifer, Inanna, and Tara in the secret room. As they escape from the hunting Valkeries, they head towards the underground. Unbinding their mouths, Luci reveals to the group that Minerva is actually Ananke. And Laura reveals the real reason they have come to the Underground – Nergal has three bodies of the three forms of Marian’s incarnations, ready to be filled. The WicDiv team isn’t holding anything back as they rocket towards the series’ conclusion. I’ve expected a lot of answers and reunions and we’re getting them in spades. I love seeing Luci and Laura reunite, and expect literal fireworks when Inanna finally learns what horrors Baal has been committing all along. Even though the issue is fast paced, we don’t lack for character moments or lose the plot. The tight pace focuses in on the final goal — if the Great Darkness isn’t the true danger, what is and can the gods reunite to stop it? I love the movement from panel to panel of the glow of the building windows to the glow of Laura’s eyes. McKelvie usually gets praised for his people, but the image of the tiny gods walking into Nergal’s giant towering temple entrance in the Underground was particularly striking. Sadly it’s not part of the preview images, so you’ll just have to buy the issue to see it for yourself.